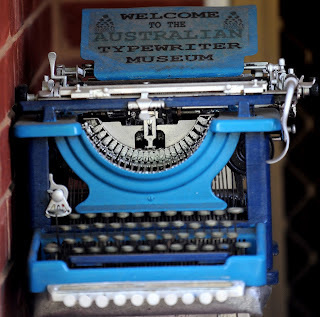 "Estelle May Munson" in my "lounge"
Royal Standard No 5 Typewriter: A Glorious Flop? 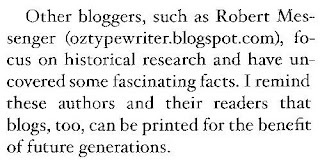 I think the late Paul Lippman summed it up best in his 1992 book American Typewriters: A Collector's Encyclopedia. "Royal's flatbeds," Paul wrote, "ran into consumer resistance, mainly because they did not look like typewriter were 'supposed' to look." 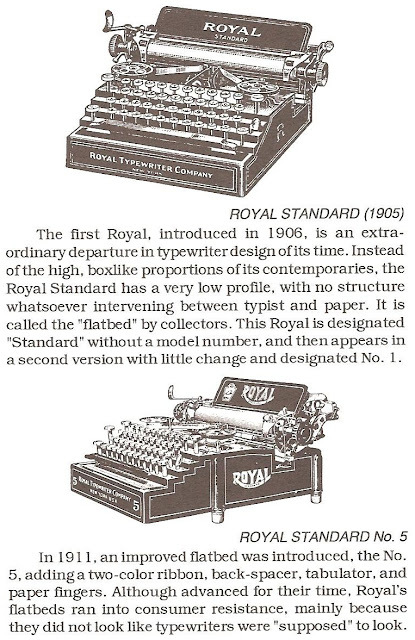 Paul was also right on the money when he said, "The first Royal ... is an extraordinary departure in typewriter design of its time." 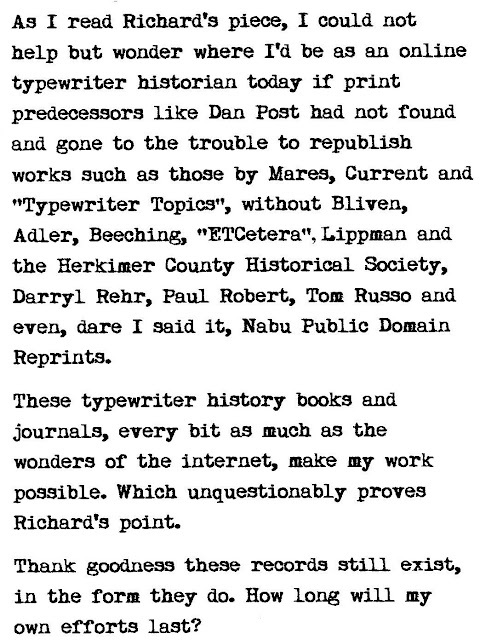 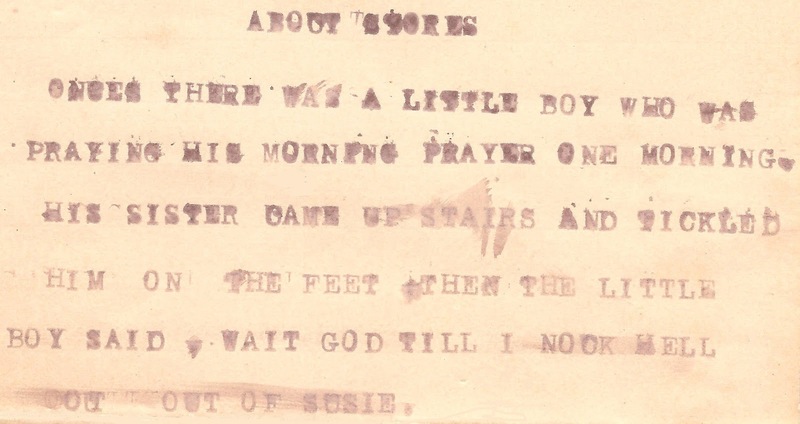 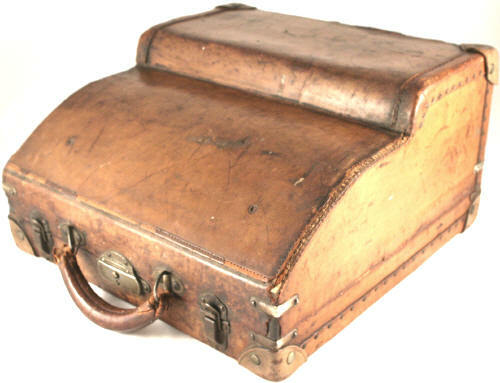 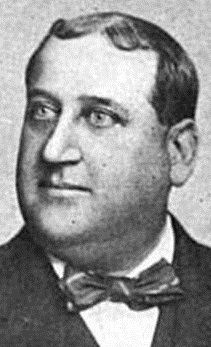 Don't worry, Edward Bernard Hess was all the while beavering away at more conventional "boxlike" typewriters as he began to accumulate his 140 typewriter patents from the late 1890s - including while he was working alongside Lee Spear Burridge and Lewis Cary Myers for the Century Machine Company of New York. 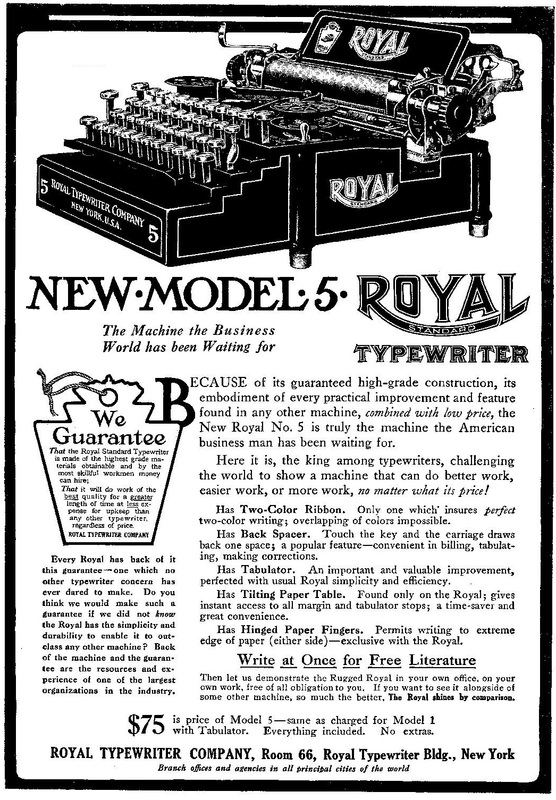 But the flatbed - something completely out of the ordinary - became his dream for the debut typewriter for his new Royal Typewriter Company, when he established it in 1904. 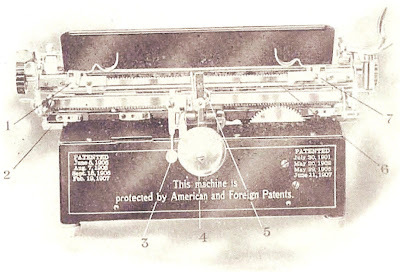 As you will see from the patent dates on the back of the Royal Standard (Model 1) of 1906, in this image scanned from the typewriter's handbook on Alan Seaver's Machines of Loving Grace website, Hess started taking out patents on it in June 1901. Hess seldom if ever took out a single patent covering an overall typewriter design. 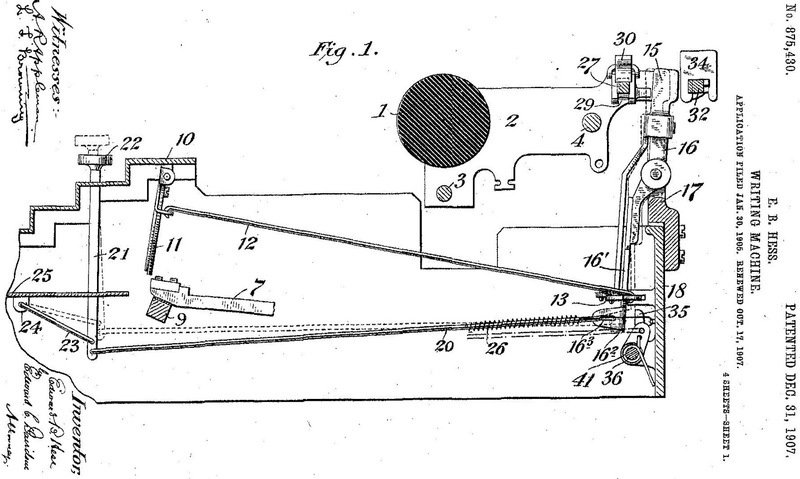 He preferred to take out patents as he made each step of the way toward fully developing his machines. 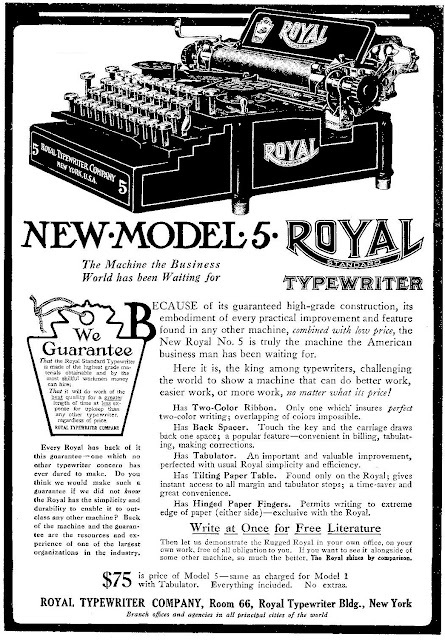 Here, in May 1902, is further progress on the Royal Standard (which Hess preferred to call a "writing machine" rather than the then standard "type-writer"). 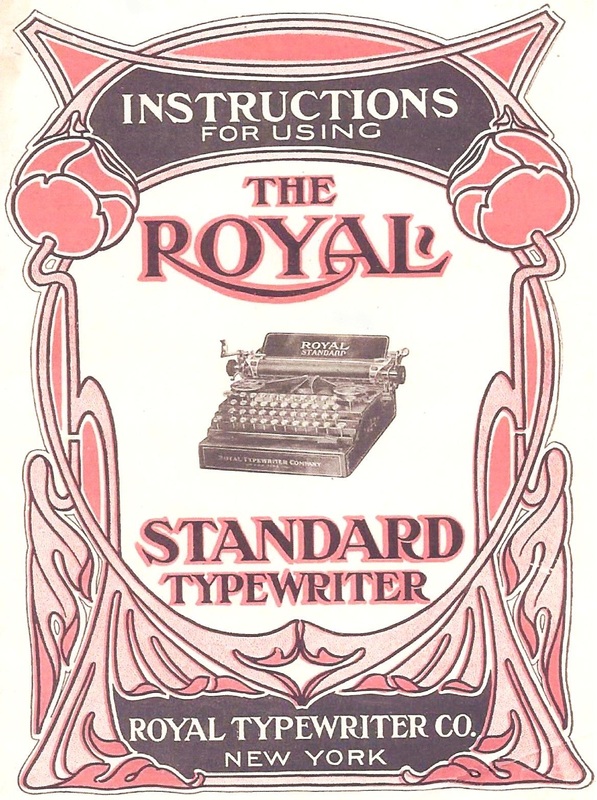 Paul Lippman was right and the Royal Standard did not enjoy the commercial success it deserved. 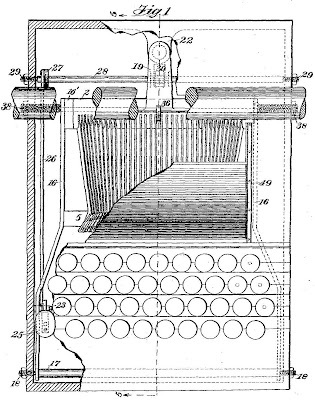 Undaunted, Hess re-designed the machine between its launch in 1905 and 1907. 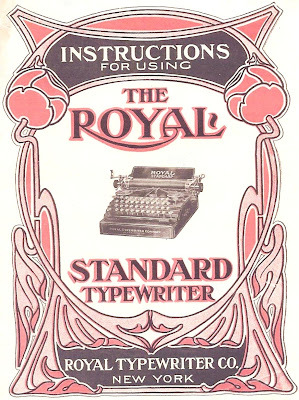 The much improved Standard No 5 was launched in 1911. My Royal Standard No 5, with the serial number 139539-5 was made in 1912. 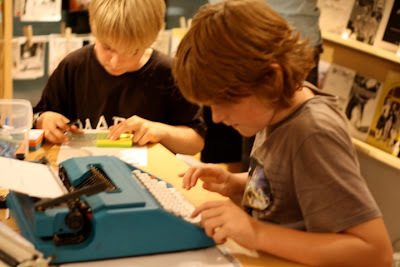 Paul Robert at the Virtual Typewriter Museum says Hess "had from the beginning aimed at building the ultimate visible writer. 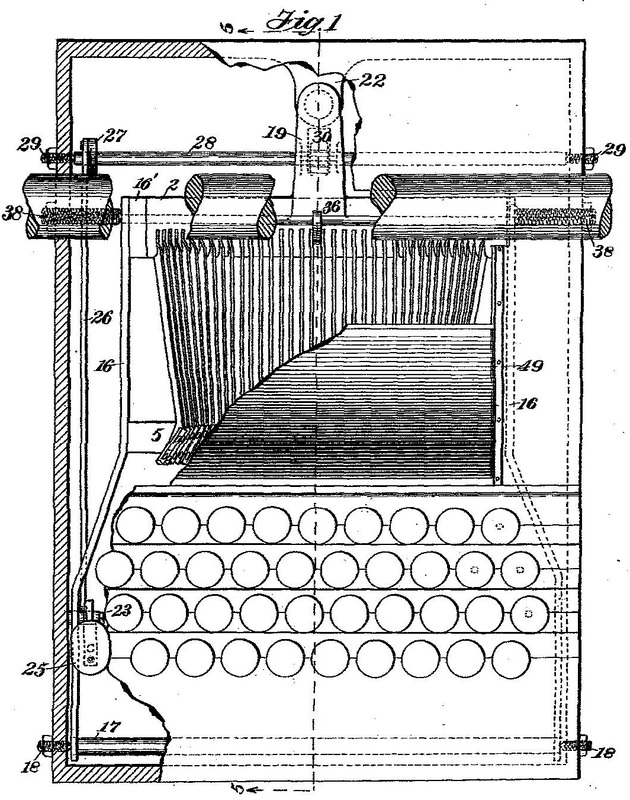 His first patents dealt with a nine-bar typewriter with revolving sleeves, each carrying nine characters. 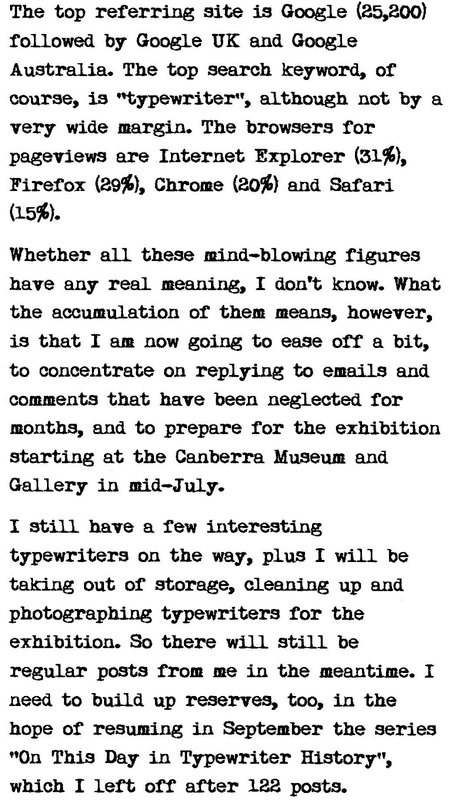 Hess himself decided that his invention was a 'freak', and it was never built*. 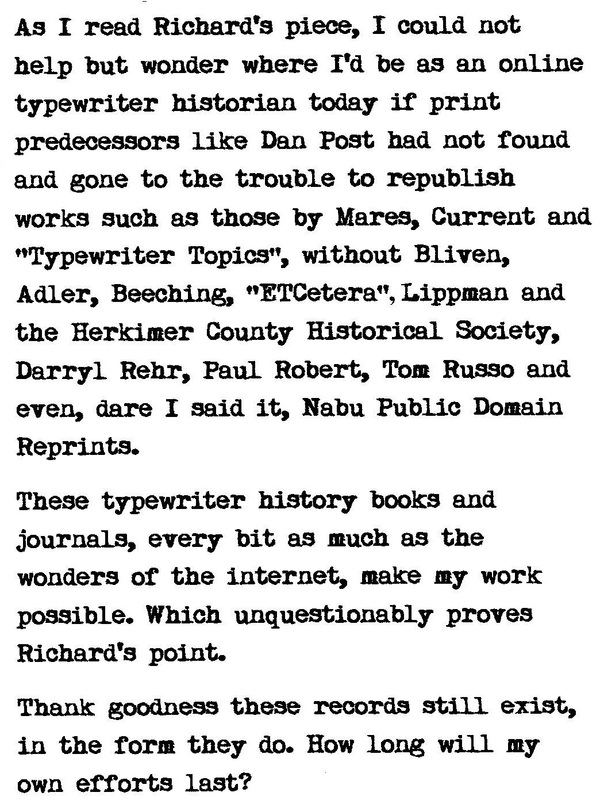 He went on to improve existing machines and by 1923 he was reported to have collected more than 140 different patents dealing with typewriter technology. 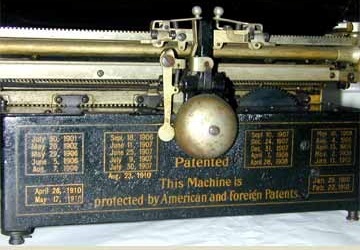 "By 1910, even the backside of his Royal 1 was barely big enough to list the patents covering this first machine." 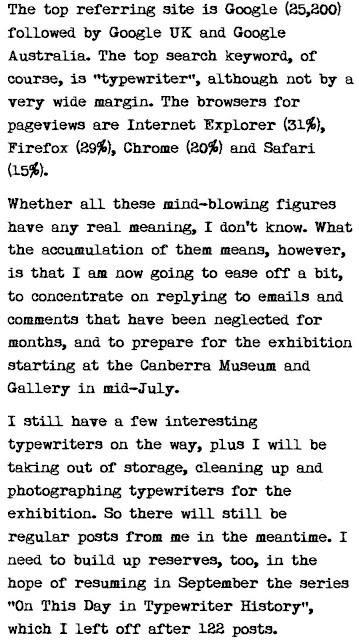 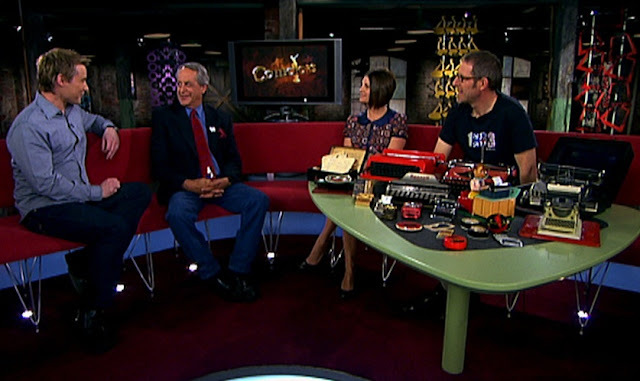 *I will be looking at the "ultimate visible" typewriter to which Paul refers in one of my next few posts. 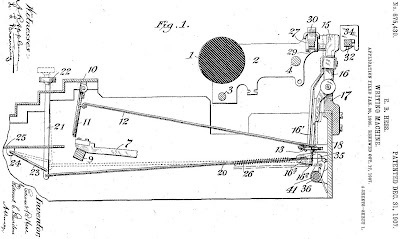 Hess worked on it for the Century Machine Company with Burridge, Royal company secretary Joseph Martin Stoughton, Myers and others over a number of years, before abandoning it. 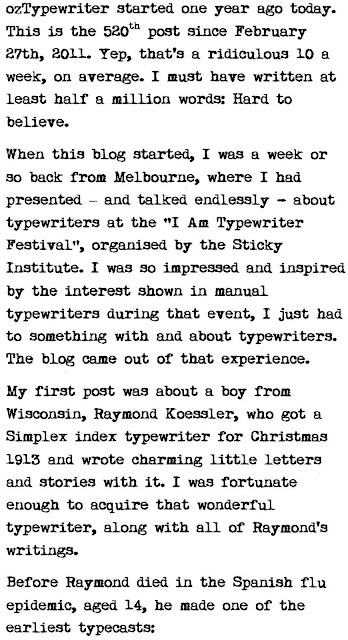 It's a year now since I presented at the Sticky Institute's I Am Typewriter Festival in Melbourne. 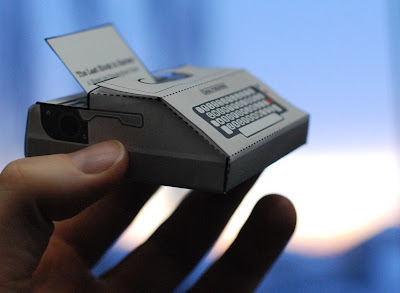 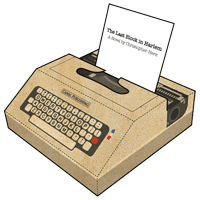 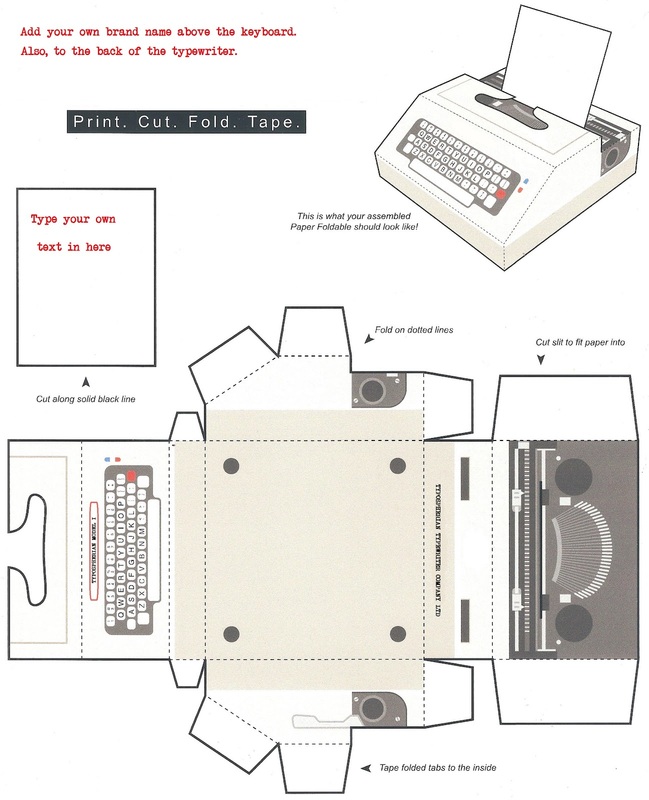 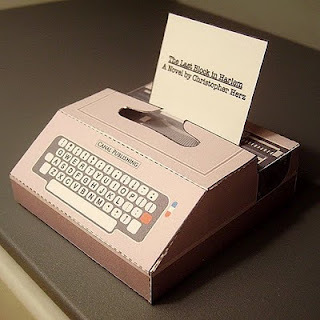 Bryan made this paper typewriter for Canal Publishing, promoting a novel by Christopher Herz, "The Last Block in Harlem". Bryan says, "Herz writes the first draft of his books on this cool old typewriter of his, which also makes an appearance on the cover of the book. 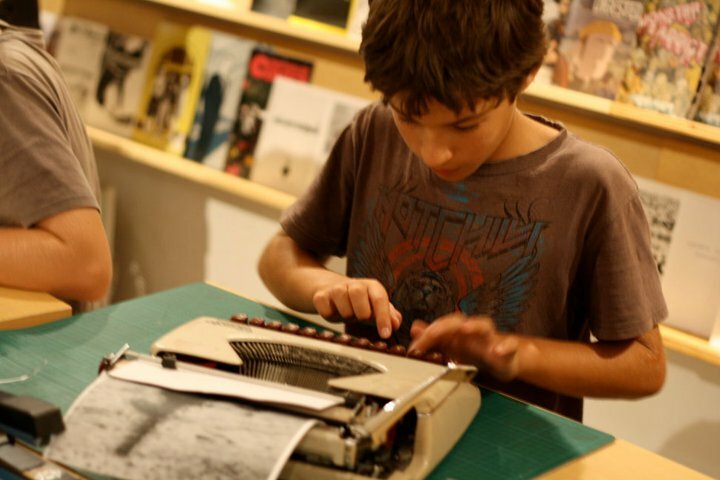 He plans to promote the book grassroots style and make a bunch of these little typewriters and leave them all over NYC! 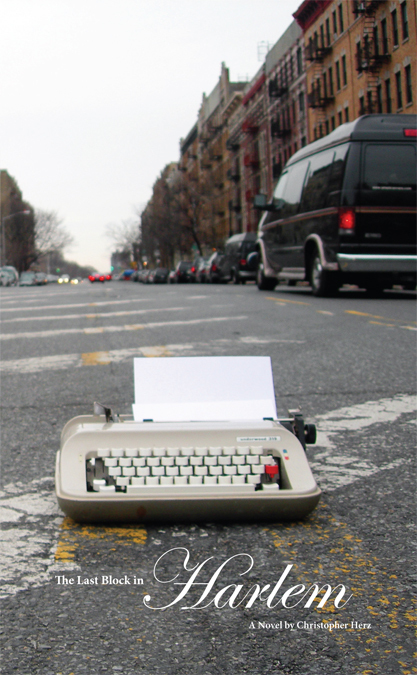 If you are in town, keep your eyes peeled and maybe you'll be lucky enough to find one!" 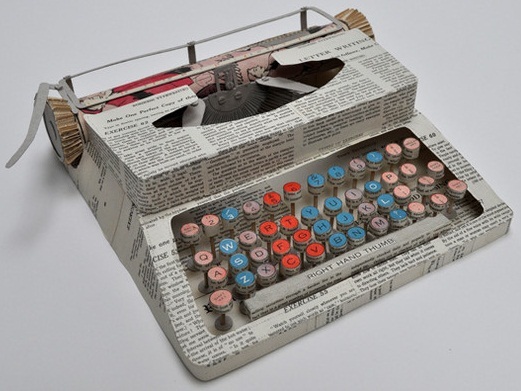 And this one is way out of my league: Jennifer Collier, a British artist, recycles paper into 3-D objects by sewing sheets of it like fabric. 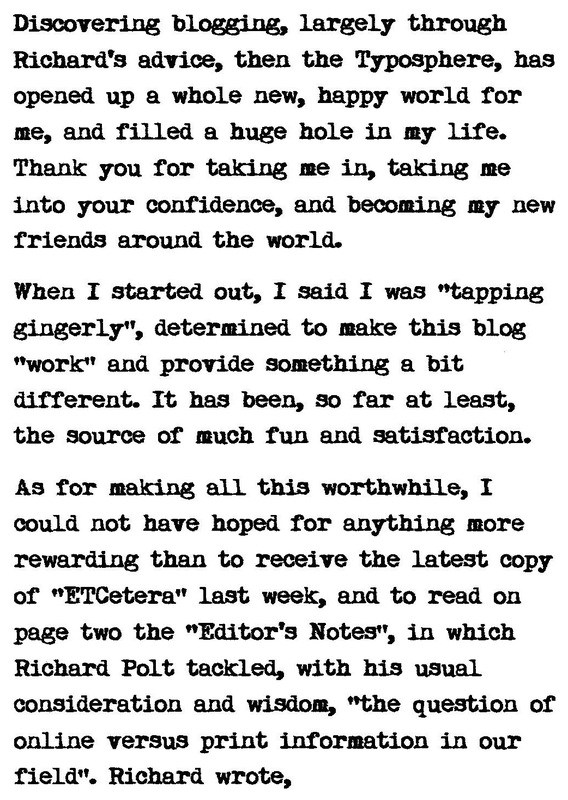 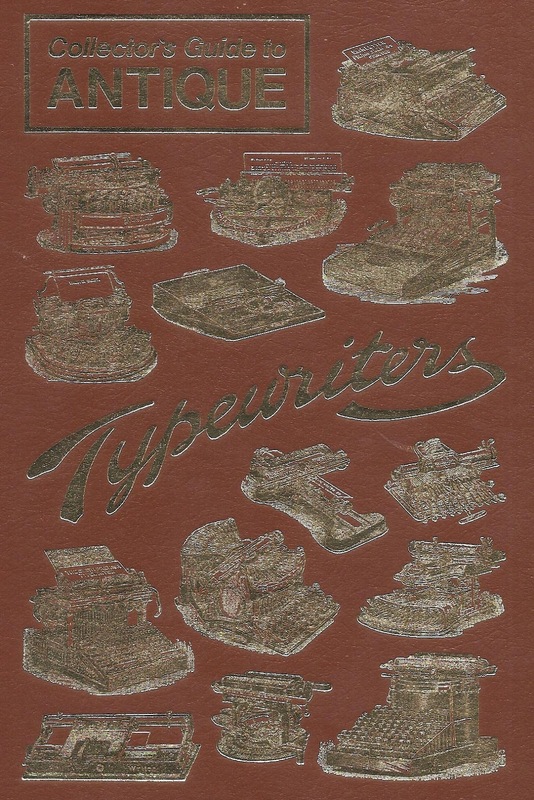 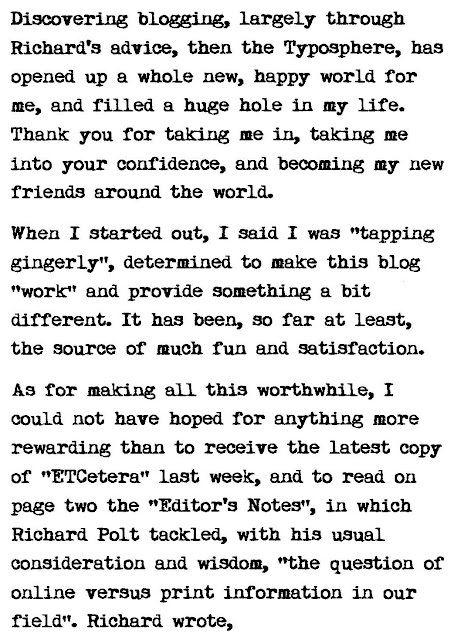 I won this typewriter tattoo in a competition run by Richard Polt on his Writing Ball blog. 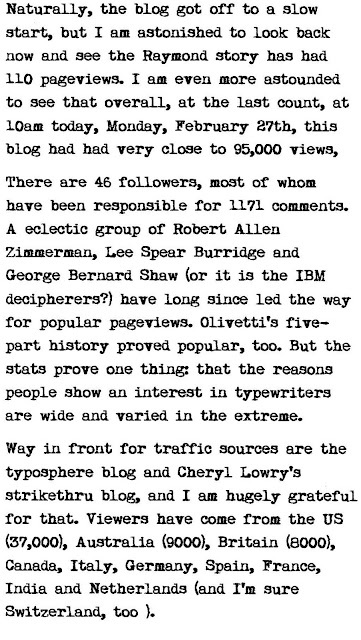 Entrants had to come up with something a Tough Typospherian might say. 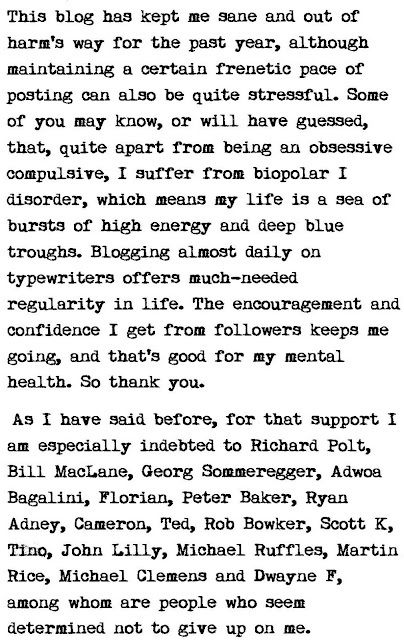 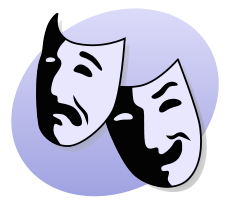 I threw some barbs at the writer of this blog and his unethical editing behaviour with typecasts. Duly the tattoo arrived from Cincinnati, with a charming letter written on a gold-trimmed Olympia SM4 called Marie Antoinette, on the back of the instruction sheet - you know, how to hold the tattooing needle straight and grip a leather strap between your teeth - all that sort of thing. 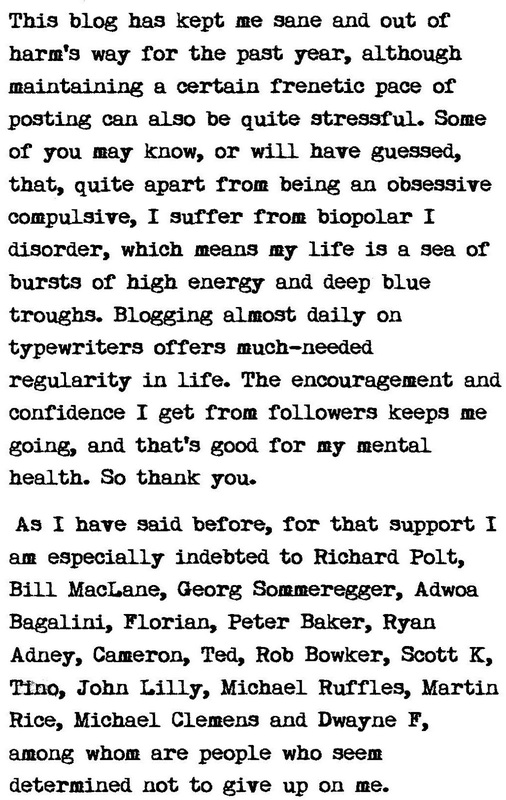 Yes - I'm a Tough Typospherian: I tattooed myself! 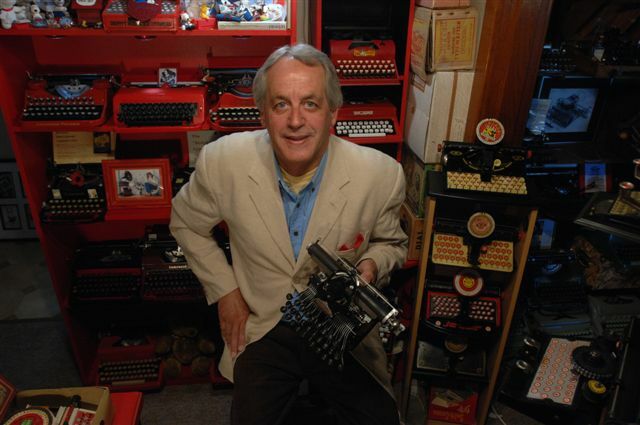 Richard is now daring me to wear the tattoo and my typewriter key necktie "for a specially eccentric effect!" Now that would be a tough look! 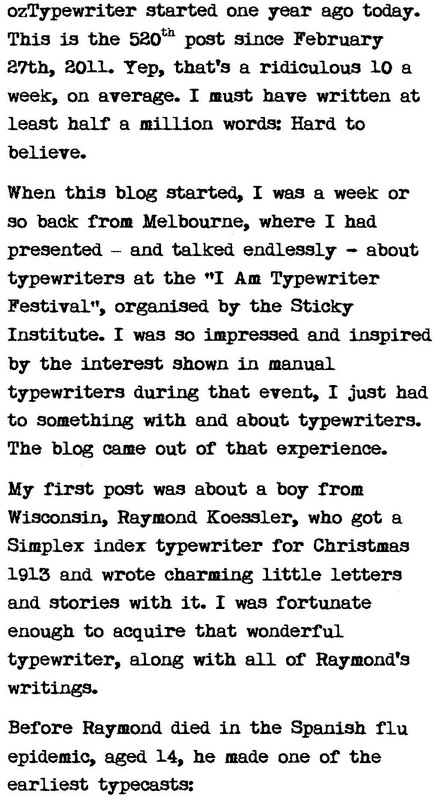 Meanwhile, Richard is feeling like a plutocrat for typing with Marie Antoinette and I'm feeling like a bikie gang member for wearing a tattoo. 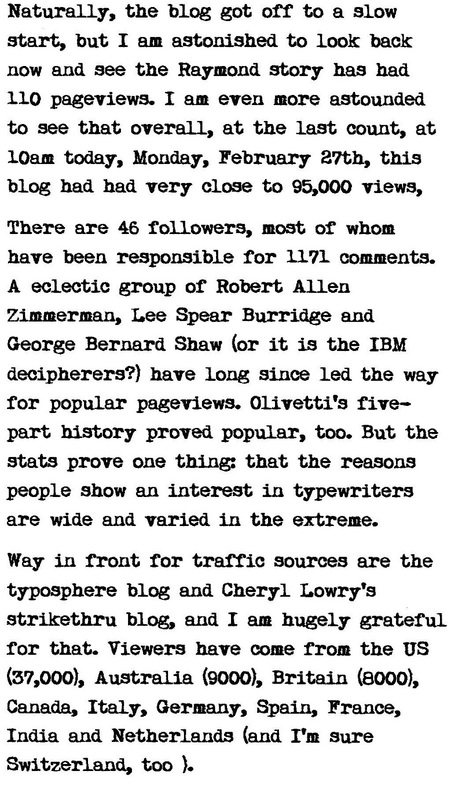 IBM Selectric Typewriter with Blick Keyboard! 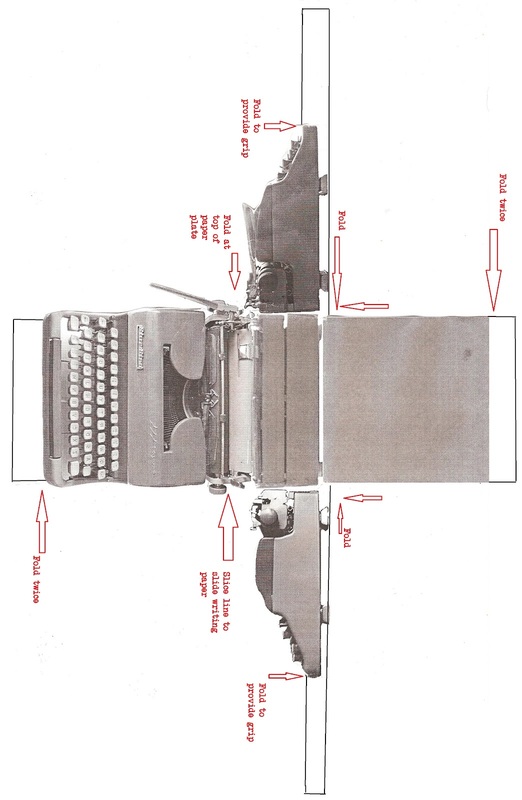 The 99c Norwood: A Rare Czech Typewriter! 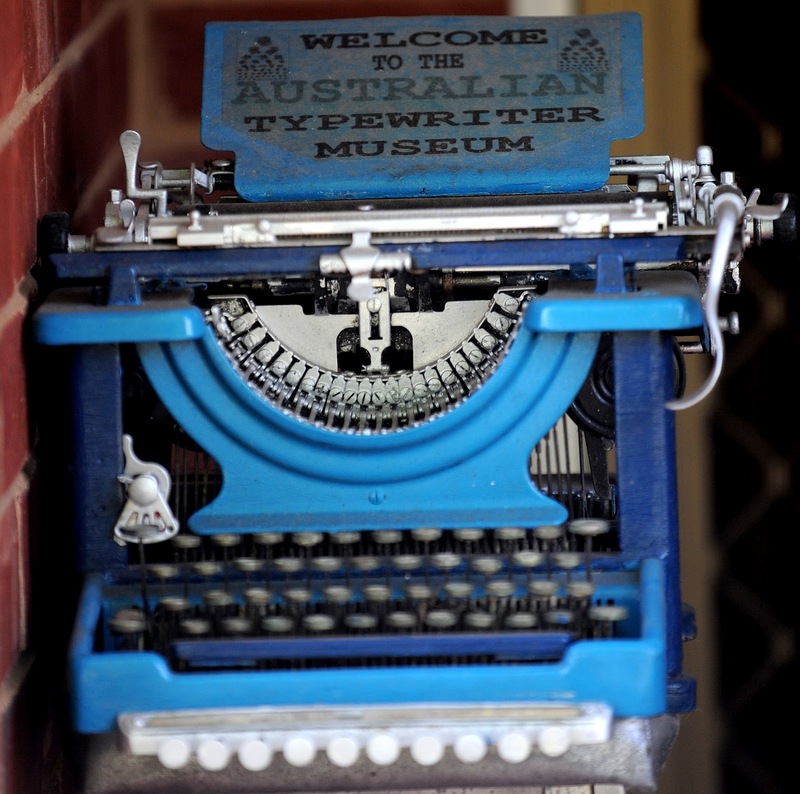 The Royalite and The Nippo: Typewriter Cousins? Who Are These Guys, and What Are They Typing?